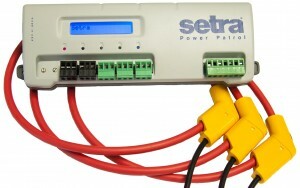 The Setra Power Patrol is every electrical contractors dream. The networked 3-phase power meter works with Rogowski Coils and has a small enough form factor to be mounted inside or outside of the panel using either mounting tabs or the DINrail clip making it the easiest installation in the industry. The Power Patr ol has field selectable communications and can capture kWh/kW energy and demand data for virtually all relevant energy parameters needed for sub-metering applications. CLICK HERE to download the data sheets for the Setra Power Patrol and the Setra Power Patrol CT's.